By mid-February, it can get a little difficult to remind ourselves about the advantages to Nova Scotia’s winter season, but luckily for us, that’s just when it’s time for the annual Icewine Festival. While the wintry weather might be tough on the roads, and the snow day cancellations hard on the schedule, the winter climate in Nova Scotia offers the ideal temperatures for producing the unique treat that is icewine. 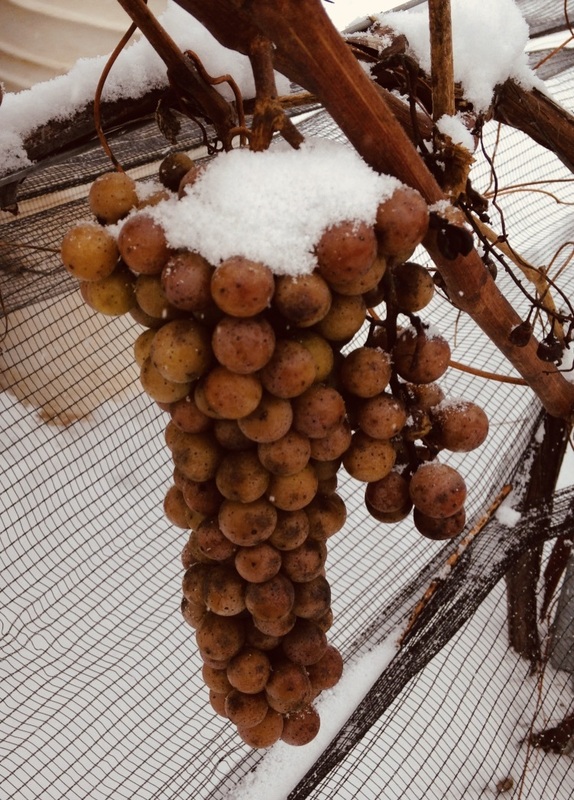 Because they have to freeze on the vine, the icewine grapes are ready to pick sometime between late November and late December, when the temperatures hit between -8 °C and -10 °C. Until then, they have to be carefully preserved on the vine and kept safe from greedy birds looking for one last sweet treat from the summer season. The harvest usually happens at night, and the entire crop is hand-picked to insure that each grape is treated with care. Once collected, the grapes are slowly pressed, usually outdoors to maintain that low temperature. The juice that is produced is especially high in sugar. A cool, slow fermentation follows, and the resulting wine is high in both sugar and flavour, with a balanced acidity. The grape varieties commonly used to make icewine in Nova Scotia are Vidal, Ortega, and New York Muscat.